Here's a super easy purple and black dry brushing manicure with textured metallic purple glitter! 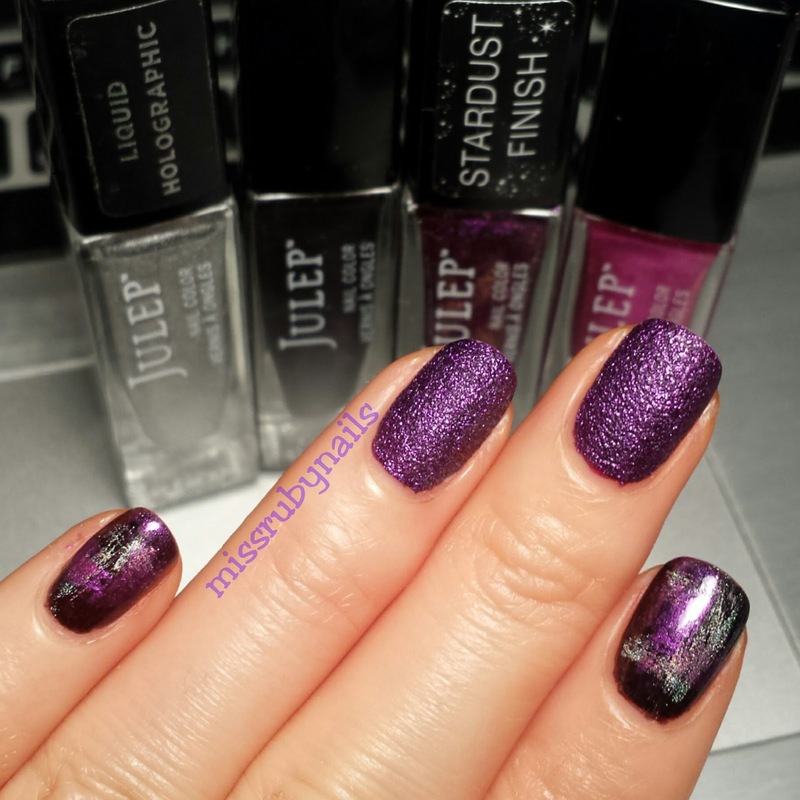 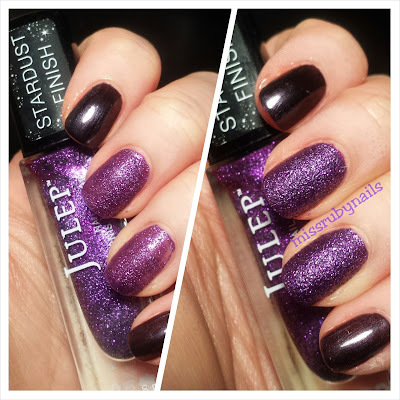 The textured polish was by Julep from their Stardust Finish line. 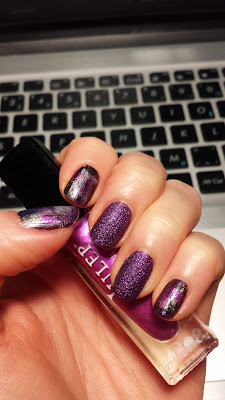 I love textured polish and this purple color is just so gorgeous!! I applied 2 coats to get this look. 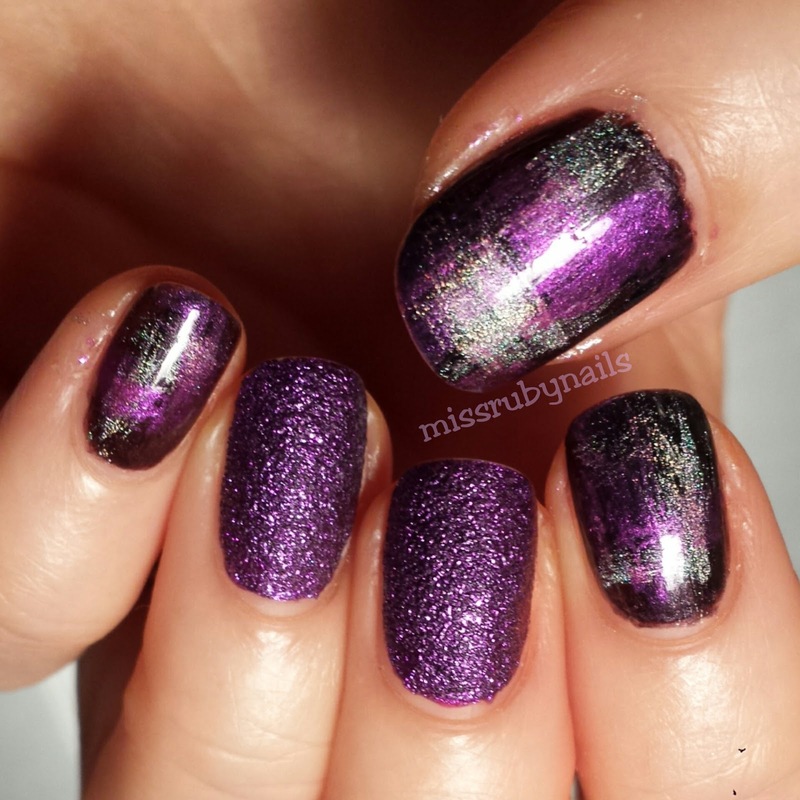 On the other finger nails, I used an almost black polish and did 2 different colors of dry brushing. I first used a silver polish then a metallic purple which was similar to the textured purple color. I made brush strokes in both vertical and horizontal directions. 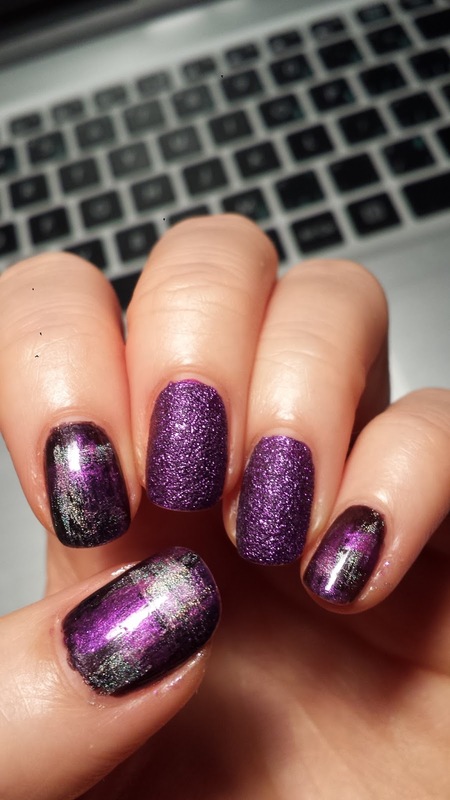 After applying top coat over the dry brushing then we are done! 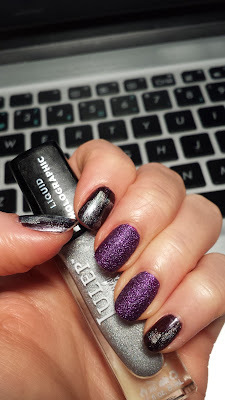 I never apply top coat on textured polishes because that would take away the texture effect.